A source revealed to The Sun that I’m A Celebrity… Get Me Out Of Here! 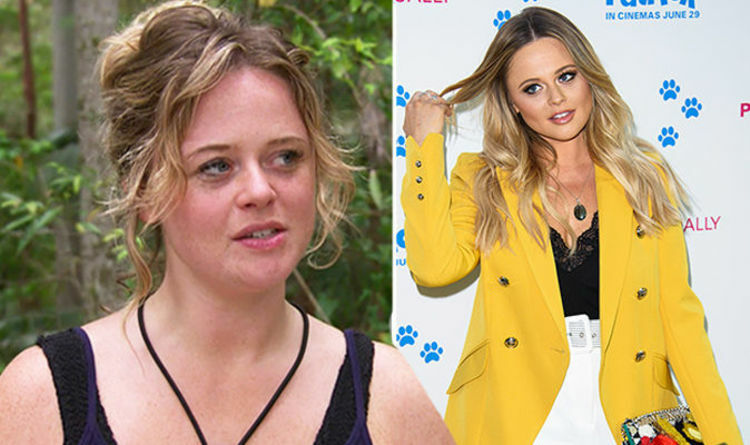 2018 star Emily attack, 28, has been dating the reality star since September. However a representative for Emily told the publication this was inaccurate and the pair are “just friends”. A spokesperson for Emily said: “Emily is categorically not in a relationship with Ziggy. They are friends but nothing more.” The actress, who is widely known for playing Charlotte Hinchcliffe in comedy series The Inbetweeners, revealed she is single before heading Down Under. And the blonde beauty vowed not to discuss her love life in the jungle, or Seann Walsh, 32, who she reportedly had a string of dates with in 2016. She told OK! Magazine: “I’m not going in there to talk about my dating life and my private life. A source previously said the duo had enjoyed multiple dates two years ago. There is no suggestion the actress knew the comedian was dating actress Rebecca Humphries at the time, who he split up with last month following his kiss with married Strictly Come Dancing 2018 partner Katya Jones, 29. They told The Sun: “They were really keen on each other. Emily told people she was in love with Seann. “He was extremely evasive when asked about his relationships. Despite not being keen on speaking about her love life, Emily insisted she isn’t ruling out a potential romance completely. She told OK! : “I am single at the moment. And never say never. Meanwhile, Emily has been facing her fears in the Australian jungle. Last night, she unveiled her weight loss, telling her fellow camp mate Noel Edmonds, 69, her clothes no longer fit her. She told the former Deal Or No Deal host: “These were tight when I came in here. “I just want to lose a bit of weight so that when I get home and it’s Christmas I have a bit of room and can put it back on again. I’m A Celebrity… Get Me Out Of Here! 2018 airs on ITV at 9pm.